Did you see something AUsome? Weird? Today? Whenever? Take a picture of it? Screen cap it? Know someone who did? … and check out the Photo of the Day archives here. 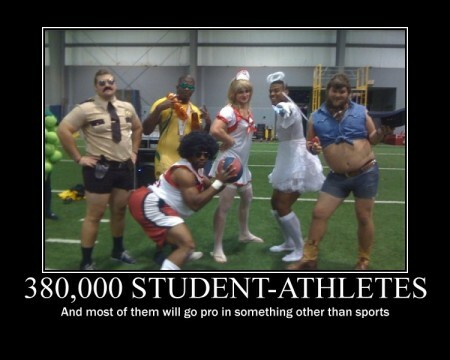 Oddly enough, at least half of those pictured here will have the chance to go pro in their sport. Though it is a scary and amusing poster, all the same. That can’t be Mario. He’s holding onto the ball. Mario – if you’re reading this. I’m kidding. I’ve got much, much love for you man. Just hang onto that rock.